Check off items on the New Hampshire Bucket List to celebrate the start of the season! Celebrate the arrival of fall as the leaves turn amber and gold and a brisk breeze makes its presence known. Take time to appreciate all the season has to offer in New Hampshire by checking off items on the fall bucket list. 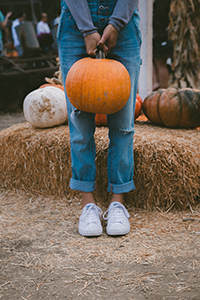 Get started on your bucket list with an emphasis on the most fall item of all, pumpkins. Channel your inner artist and create a masterpiece for your doorstep by carving a pumpkin that embraces the fall spirit. Find time to go apple picking, the most fall activity of all. McIntosh, Granny Smith, Gala, oh my! 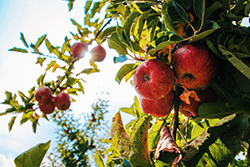 Apple options and fall fun are limitless while visiting your local orchard. The best part? An abundant amount of leftover apples are the perfect reason to bake a dessert favorite like Apple Pie, Apple Crisp, or an Apple Cobbler. Mmmm, cider. Nothing screams seasonal flavors like a cup of cider. No worries if making a cider concoction isn't your forte. We'll let you check the box if you buy a gallon from the grocery store or farmers market. Take a drive up 93 and the Kangamangus Highway for an Instagram-worthy trip around the state. The leaves start changing to the signature watercolor in September and October so there's time to beat the out-of-state peepers. Spend your weekend at the festivals and fairs that embrace New Hampshire in the fall. The annual events are perfect for a day of family and adventure with friends. Check out some of our favorite events happening this year. The Northern Rail Trail offers the best fall foliage views around. In typical New England fashion, not much time remains until snow makes an appearance. 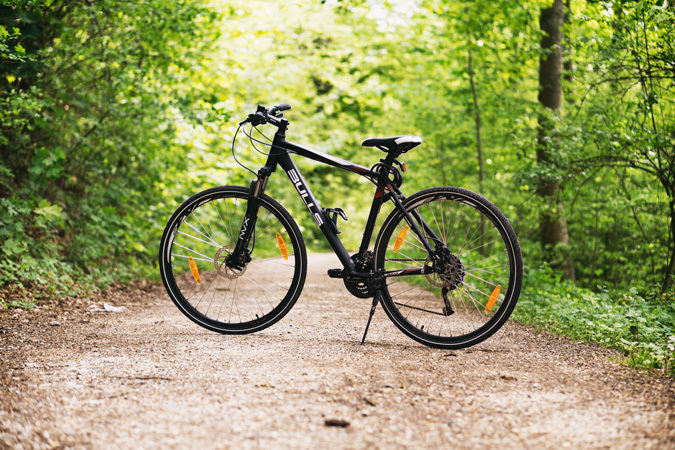 Take advantage of the crisp air while you can with a bike ride along the Northern Trails. Ride the Cog Railway up Mount Washington for incredible fall foliage views. If you prefer water, board the M/S Mount Washington for a dinner cruise that surrounds you in the beauty of the Lakes Region. Take your pick! Pick your pumpkin to be used as a doorstep decoration or a yummy ingredient in your favorite fall recipe. It's PSL season (pumpkin spice latte for those unfamiliar). 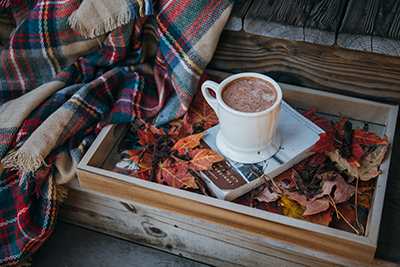 It's time to hit up your local coffee shop for a seasonal beverage like a Hot Chocolate or a Spiced Chai Tea Latte, my personal favorite. If you consider yourself more of a tea drinker, you'll want to read where to find the best tea in the state. Curve your fall flavor cravings by cooking up something special this season. Take on a classic like Pumpkin Pie or Caramel Apples to help the sweet tooth problem. Bring culinary expertise to the dinner table by recreating a recipe from New Hampshire's best chefs in the business. We promise your guests will ask for seconds. If you prefer to stay out of the kitchen, visit iconic New Hampshire restaurants for a bite to eat. If you're in the mood for fall on a plate, visit Hart's Turkey Farm in Meredith, NH, where it's Thanksgiving everyday. Keep NH Flavors in the loop as you complete the New Hampshire Bucket List. Tag @nhflavors on Instagram, Facebook, and Twitter all season!